Selected as Fiber Art Installation of 2016, Fiber Art Now Magazine. 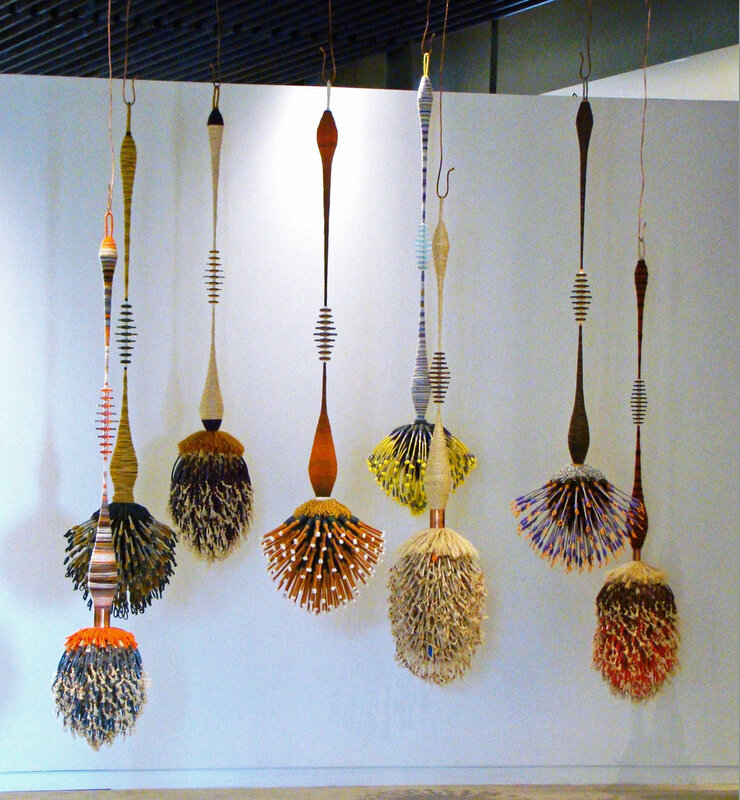 Sculptural fiber installation at the University of Nebraska at Omaha, 2017. (Detail) Solid, hand-wrapped yarn, wine corks, colored tubing, copper, twine, and acrylic sheeting. Hooked on Svelte, featured in State of the Art: Discovering American Art Now, 2017. Photograph courtesy of Richard Feaster. Installation view. Montana Triennial 2012, Missoula Art Museum, Missoula, Montana. Hooked on Svelte, on display in the front window of CAFAM, 2017. Suspended! at the Kalamazoo Institute of Arts, Michigan. (Detail) Hand-wrapped yarn, twine, colored tubing, wine corks, copper and acrylic sheeting. Hand cut and polished acrylic. Grouping of five hand-wrapped fiber sculptures at ArtPrize 2015 in Grand Rapids, Michigan. Ting-a-Ling, Plum Bob and Envy. Hand-wrapped yarn with acrylic sheeting. Hand-wrapped yarn and acrylic sheeting. Hand-wrapped yarn & twine with mixed media. Ting-a-Ling, Plum Bob, Whine Corky and Pharmsicle. (Detail) Photograph by Erik Hansen. Installation view. Hand-wrapped, knotted and tied twine with pill bottles, wine corks, tubing, rubber, paper pulp, copper, wood, nylon and acrylic sheeting. Image from group exhibit, the Montana Triennial 2012, Missoula Art Museum, Missoula, Montana. Mixed media installation of hand-wrapped twine hanging sculpture using wine corks, pill bottles, tubing, rubber, paper pulp, copper, wood, nylon and acrylic sheeting. Each piece is 6-8 feet in length and hangs from hand forged copper hooks. Image from the Montana Triennial 2012, Missoula Art Museum, Missoula, Montana. (Detail) Twine, pill bottles, irrigation tubing, rubber caps, nylon and acrylic sheeting. The bottom portion of this piece is comprised of 1000 pill bottles, 1000 rubber caps, 333.3 feet of black irrigation tubing and nearly a mile of twine. (Detail) Twine, paper pulp, red and black oxides, translucent amber rubber, joint compound burned with torch, and copper. (Detail) Hand-wrapped twine and paper pulp burned with torch. (Detail) Hand-wrapped twine. Each separate twisty piece is ten feet of twine, with over 500 separate pieces for this sculpture.​ 2012. 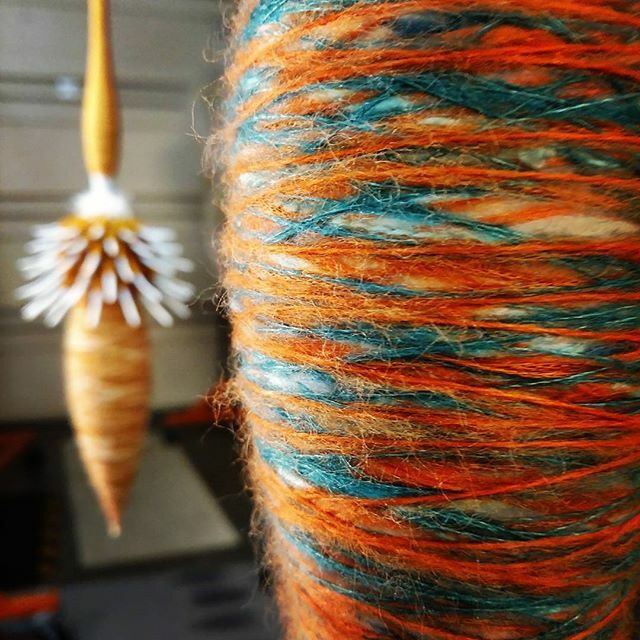 Hand-wrapped yarn with nylon and vibrant acrylic. Each piece is 6-7 feet in length with hand forged copper hooks. 2013. (Detail) Hand-wrapped yarn with acrylic. 2013. Hand-wrapped yarn with nylon and vibrant acrylic sheeting. 2013. Hand-wrapping at Brush Creek Ranch Foundation for the Arts, Saratoga, Wyoming.​ 2013. Hand-wrapped yarn sculptures with vibrant acrylic discs.​ 2013. Hand-wrapped Charcoal and Wheat yarn with vibrant acrylic.​ 2013. 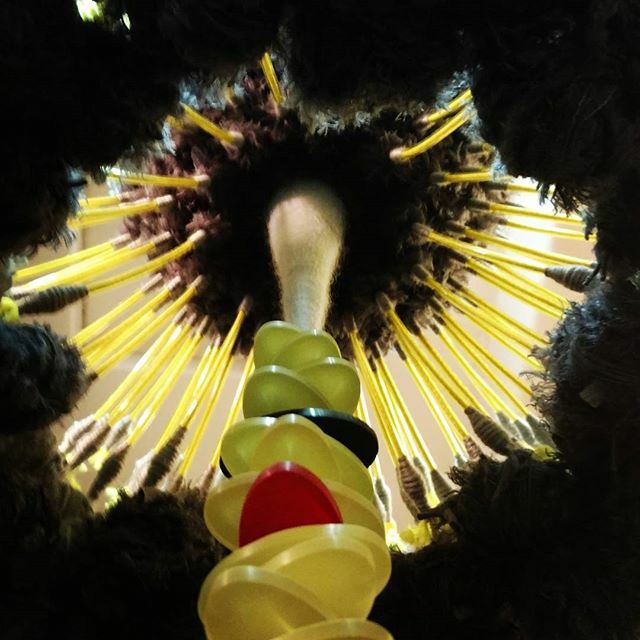 (Detail) Hand-wrapped yarn sculptures with vibrant acrylic discs.​ 2013. I am now fabricating new, smaller sized hand-wrapped fiber sculptures. These new pieces are 4 1/2 feet in length (original sculptures are 7 feet in length) and they weigh approximately 5 lbs. They can be made in hundreds of color combinations and groupings.